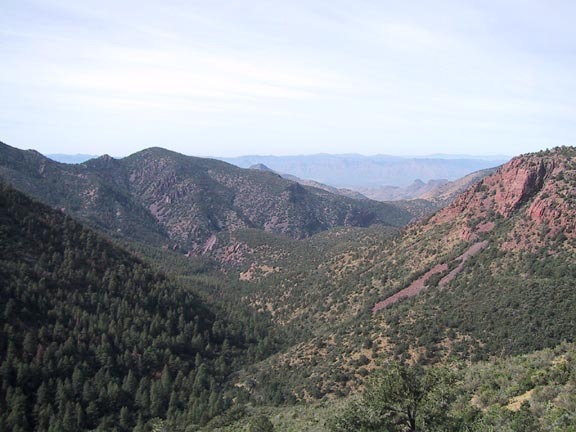 In the language of the Aztecs mazatzal means "an area inhabited by deer," but just how the word reached Arizona, or what significance it holds, remains somewhat of a mystery. Yes, deer inhabit the area. Yes, evidence shows that humans, among them the Yavapai and Tonto Apache, have exerted their influence here for at least 5,000 years. But there is no indication that the Aztecs themselves ever journeyed to this rough desert region. 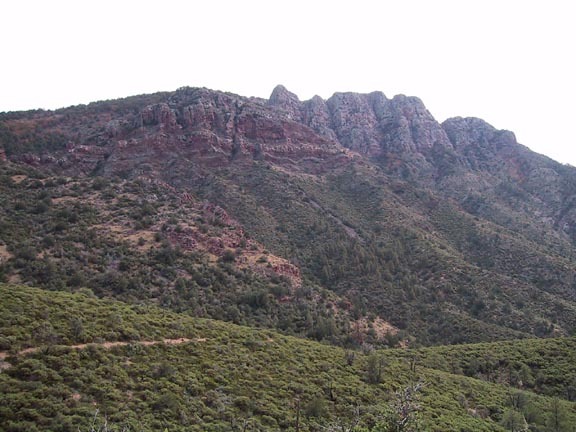 Okay, enough of the trivia, this loop hike circumnavigates Mazatzal Peak by using the Barnhardt, Mazatzal Divide, and Y Bar trails. 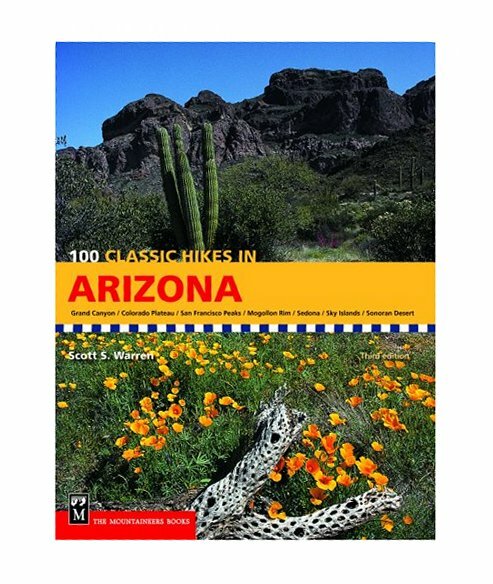 It is a well-published loop hike and stated distances vary from 14.5 to 17 miles depending upon the source. Between my GPS and mapping software, I settled on about an even 15mi. It is a rather difficult day hike due the distance and the total accumulated elevation Gain/loss of 4750' that goes with it. I did the loop counter clockwise, having experienced the Y Bar trail and knowing what a grind it is, opting to take it downhill. 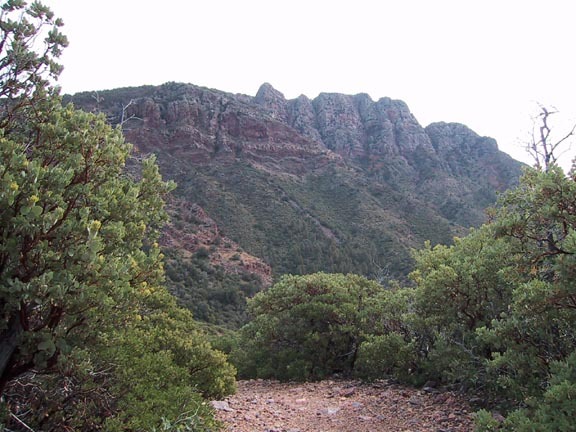 The hike starts westward on the Barnhardt trail to the intersection with the Mazatzal Divide trail at about 6 miles. For details please refer to the "Barnhardt Trail" description. 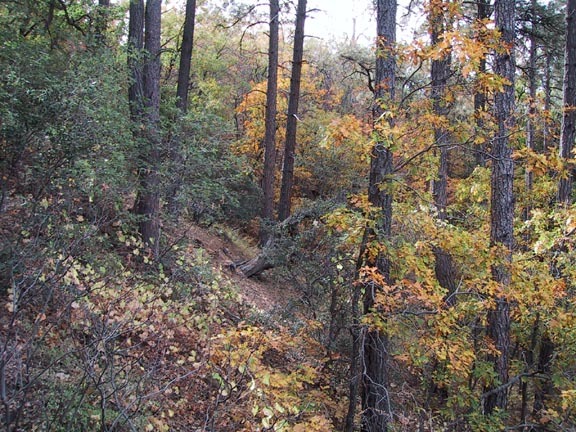 The trail is easy to follow and very pleasant as it gently contours the slope as it heads south through shady pine and oak forest where the leaves are beginning to turn. At about the 7.5mi point you'll reach the Brody Trail intersection. 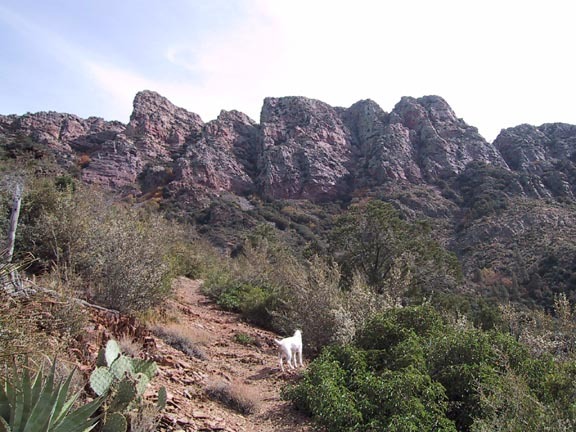 At this point you will be rewarded with a sudden breath taking view of the Maz Peak escarpment. The trail itself becomes a bit open and brushy, but the views make up for it. From here you head directly for the bottom of the escarpment and get a continually changing view of the cliffs above and the valley below. Looking west you'll get a panoramic view of the South Fork Dead Man's Creek (Don't you just love names like Dead Man's Creek and Suicide Ridge? I do:). At this point I tried to get a shot of the so-called "Monkey's Face" on the cliff , but it didn't really turn out. You can look ahead and see where the trail begins its last steep little climb to Windsor Saddle, but fortunately it looks much worse than it ends up being. From this area up to the saddle and on down to Y Bar Basin is actually quite scenic. 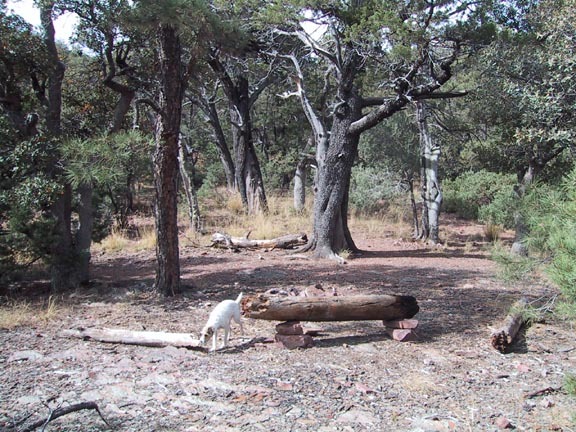 The ground and trail is comprised of a smooth shale-like rock and the fir and deciduous trees are well spaced giving it a pleasant, open, airy appearance. I came across a nice Whitetail deer in this area, but she refused to stick around and pose for a photo. 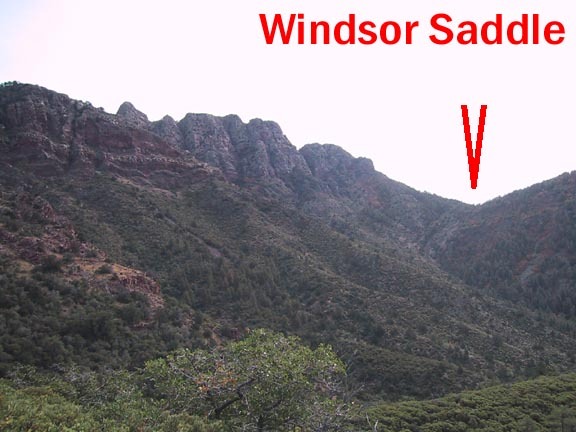 Windsor Saddle itself is very nice and would be a superb area to camp, as others obviously have done. Windsor Spring is marked with a nice little sign and is right next to the signed Y Bar intersection which reads 7mi to Barnhardt trailhead, which I'm convinced is closer to only 6 miles. The spring looked quite rancid and unsuitable for any amount of iodine or filtering. 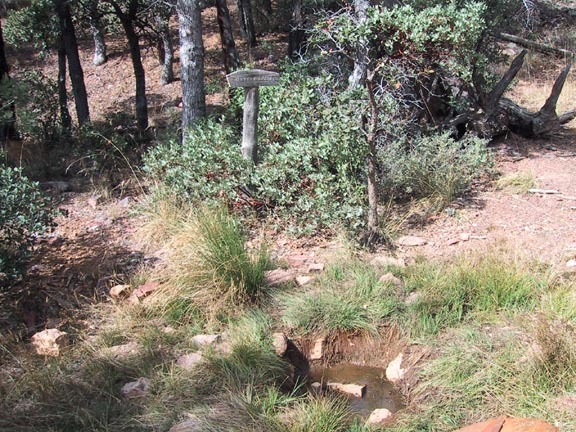 At the 10mi point you'll be in Y Bar Basin and facing a seemingly endless trudge back on the Y Bar trail. It starts out with what will thankfully be your last bit of climbing up to Cactus Saddle. From here it's pretty much downhill all the way. It's not that it isn't a pretty trail, because it is. But there is something about it, possibly the never-ending bowling ball-sized rocks that do make it a chore. Anyway, for more a detailed description of this final leg of the journey refer to the Y Bar trail description. 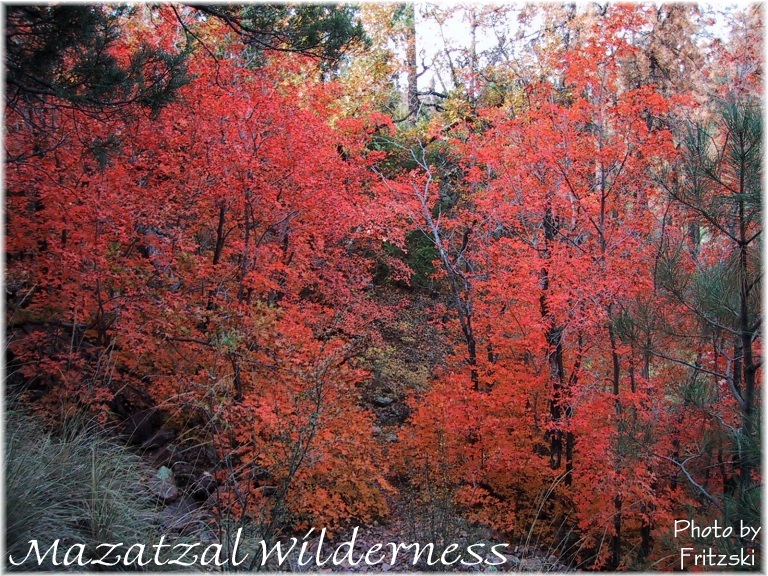 For those of you who enjoy the Mazatzals like I do, this is a must hike and I would recommend it equally as a day hike or a two day backpack. Happy trails!